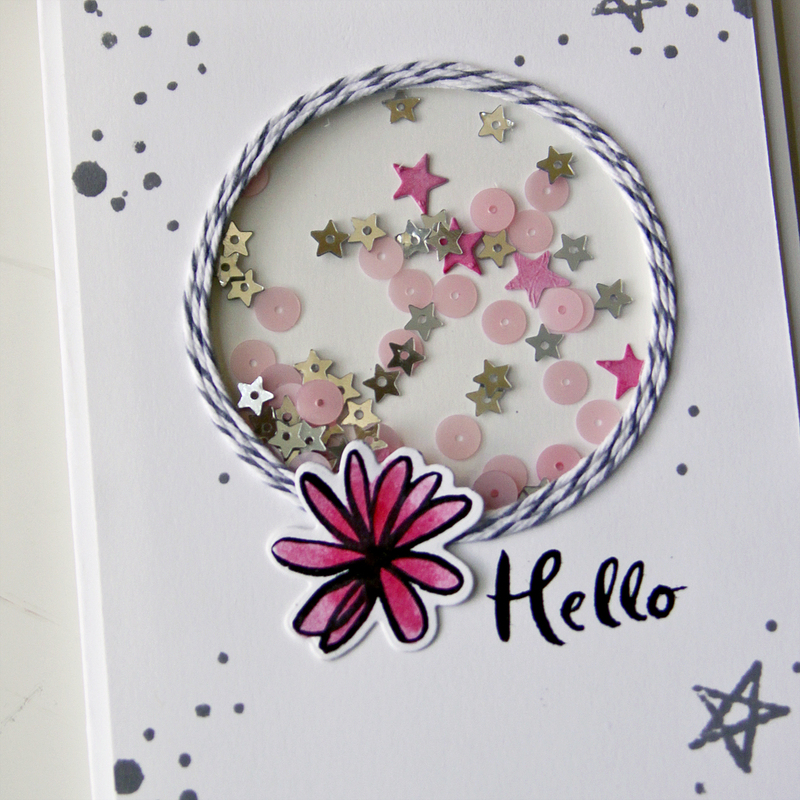 i love all of the scrapbook layouts with circular loops of thread and twine in the center and i've been planning on creating one myself eventually...in the meantime i thought it would be fun to do the same thing on a card. 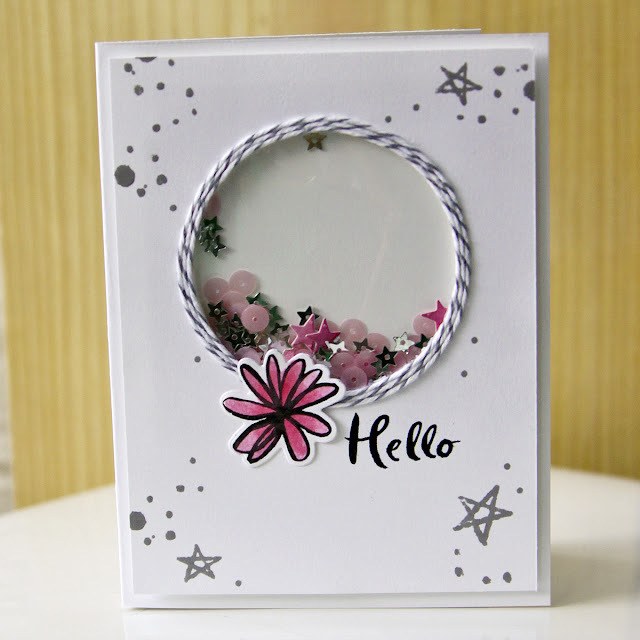 after i glued my twine down to my card i decided it make a really cute frame for a shaker window so i starter over, always the way right-haha! LOVE this shaker.... I really need to get off my duff and do a shaker!!! !